I use this as a footstool in the living room with my upholstered chair. It is just the right height and the Sherpa fabric is very soft on my ankles and feel. The sherpa helps keep your feet warm. Even in the down position, it keeps your feet off the floor and warmer. Keeping them up is good for me & my circulation, as I have blood clots in my legs. I can sit & read or knit longer with this stool. The collapse feature is great if you need to store it out of the way. I use it in the family room and can move it to any chair I want to sit in. 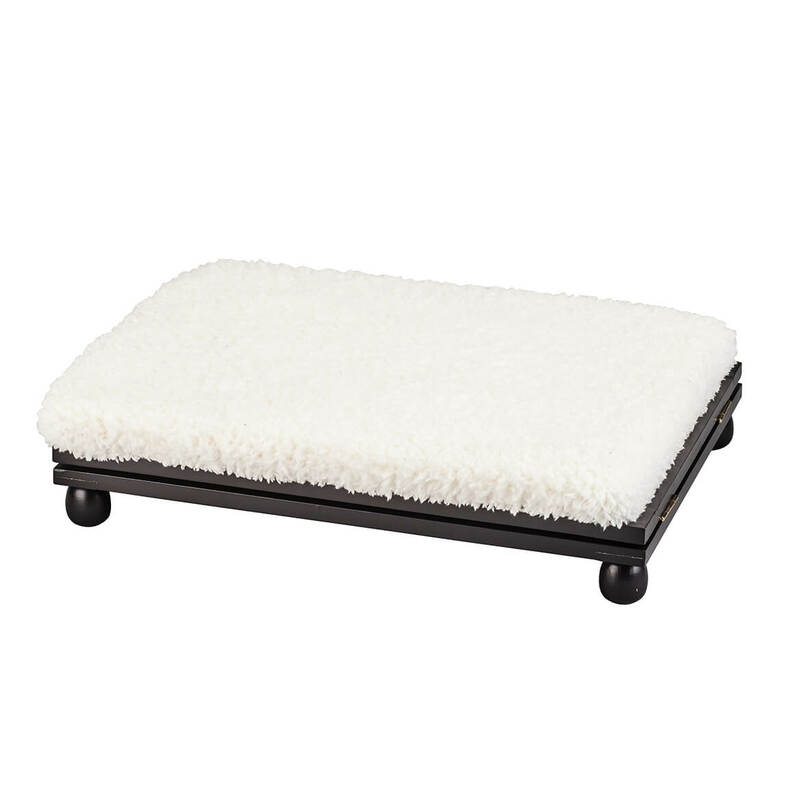 The Sherpa cover is also very soft and comfortable on the legs. sits up like the picture shows but does not tilt. Light weight and maneuvers well. This is great when I want to stretch my legs out rather than taking up space on the sofa. I would definitely recommend this product to friends/family. Easy to move and easily adjustable. Its a perfect size foot rest. Quality made item as well. Only complaint is that it doesn't "lock in place" when fully expanded to height. The two wooden footstool supports keep collapsing when the footstool is moved around. I'd recommend a locking mechanism,otherwise its a great little footstool. 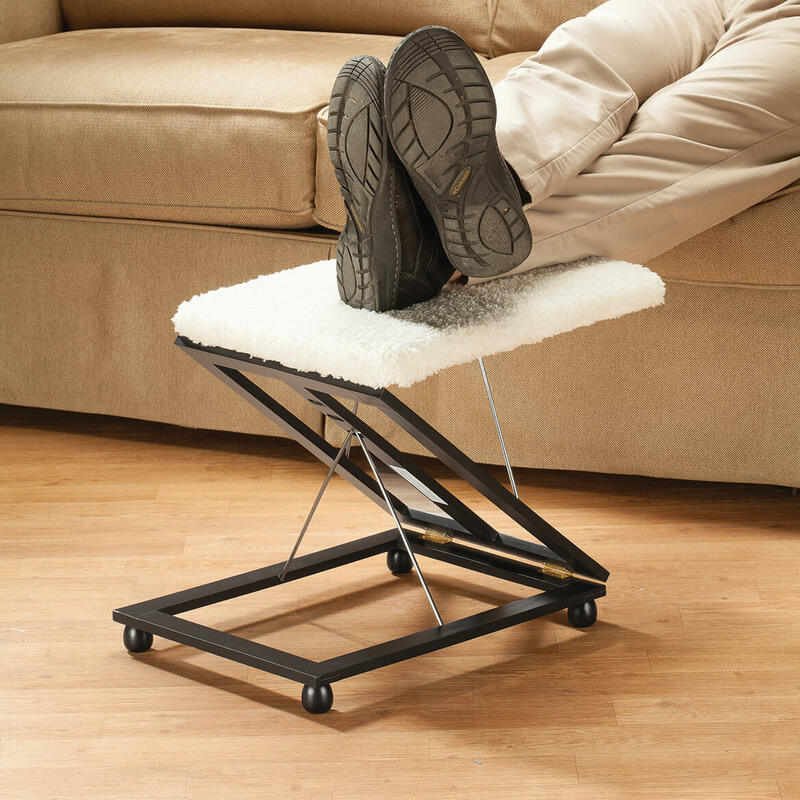 Use as a foot rest when relaxing for TV, reading, etc. Height is good & looks nice. Could be a little more sturdy & better fitting where it folds(we don't fold it). I was disappointed with the product. It looks nice, but it's too flimsy to stand up to long-term wear. It's listed as an "accent," and that's really what it is. I had bought another, similar product that had a top long enough to rest one's entire leg. It had metal-bar adjusters, and could be used in multiple positions. Instead of wheels, it had wooden balls that held it steady yet made it easy to move. It was actually a gift to a friend. But a small child tried to bounce on it, and it broke to pieces. I'm looking for one like that, though I wish they were sturdier. I returned this item and the tracking number showed it was at walter drake on August 21. Please refund the total amount back on my amazon credit card as soon as possible. I liked the warmth of the sherpa & it was a good height for me. But, it broke after only 4 days of use. It was not sturdy at all. I am extremly disappointed. I did get a full refund, minus shipping. Don't waste your time or money. 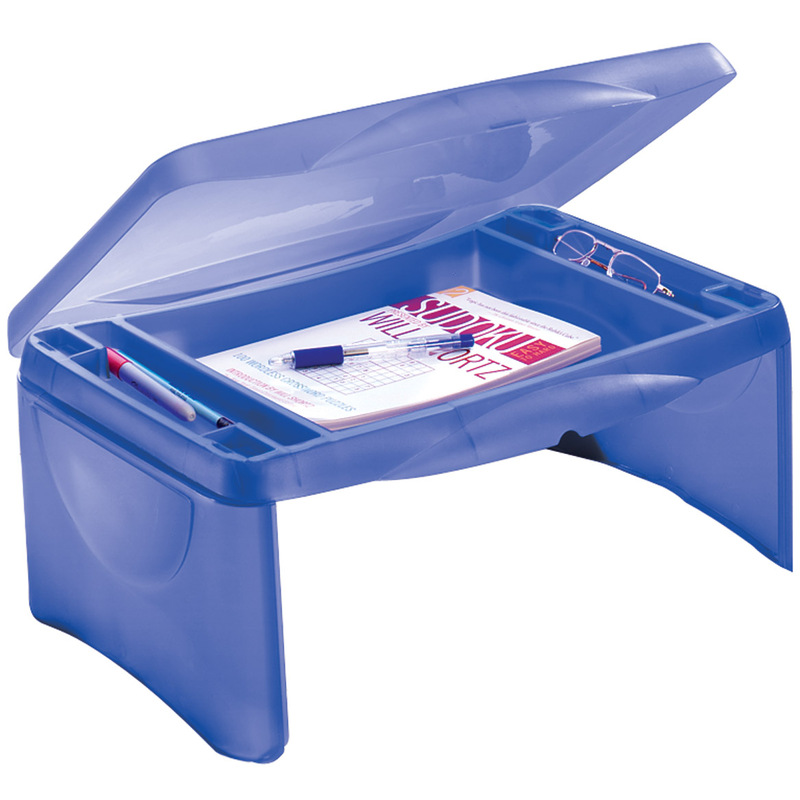 this is a great idea that didn't work.It is not made very well after I used it two times it fell apart. I wouldn't buy it again cause it just broke under my feet. Broke before even used it. It broke when I was putting the wheels on. This broke as soon as I put my feet up on it. This is very cheap and flimsy. Do Not Buy this unless you want to just waste your money. 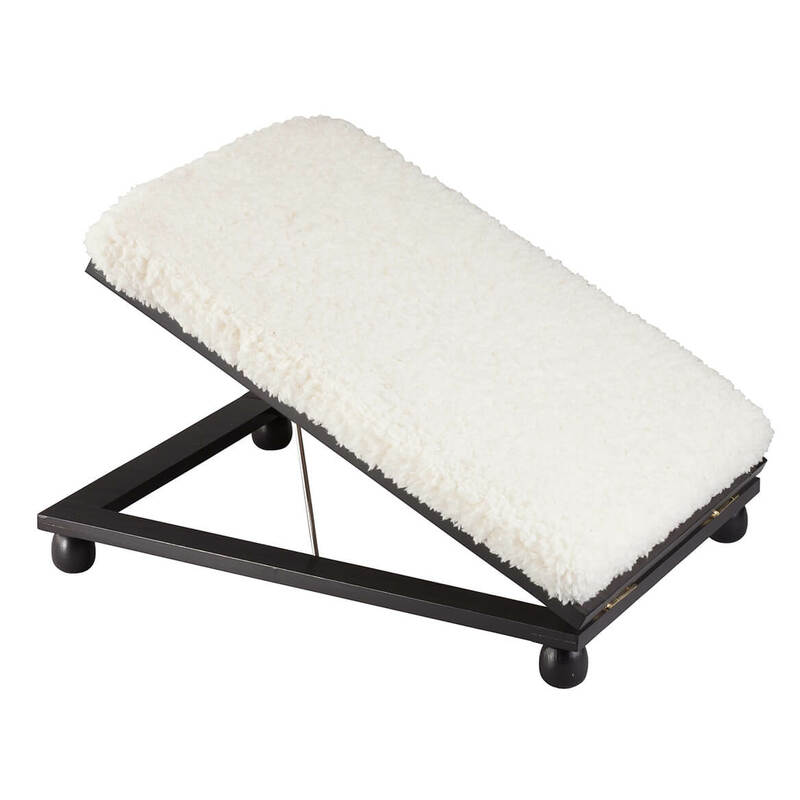 The sherpa is nice if I want to just lay it on the ground, but then why would I buy a footrest when my feet are on the floor??? This really could be nice if they put any effort into it at all by making it more solid and secure. This is a hazard waiting to happen. Sherpa is soft as opposed to tapestry. Raises legs high. To help with my mother's circulation while she is sitting in her wheelchair. i CAN FOLD IT & PUSH IT UNDER THE CHAIR WHEN NOT USING IT! my brother is having swelling in his ankles. He is 6'2. standard stools do not work because of his leg length. I picked this footstool because it is adjustable and my husband needed that much extension on his recliner to relieve his legs/feet. tired legs and easy to use footstool. Must elevate my legs for health reasons. This appears to be both attractive and comfortable. I got this to keep my legs from swelling. My husband is a diabetic. His feet and legs are always in pain. With this adjustable stool, I thought he might have a better chance getting some relief. I have one & love it. Buying one for my mom. My sister requested it for Christmas. 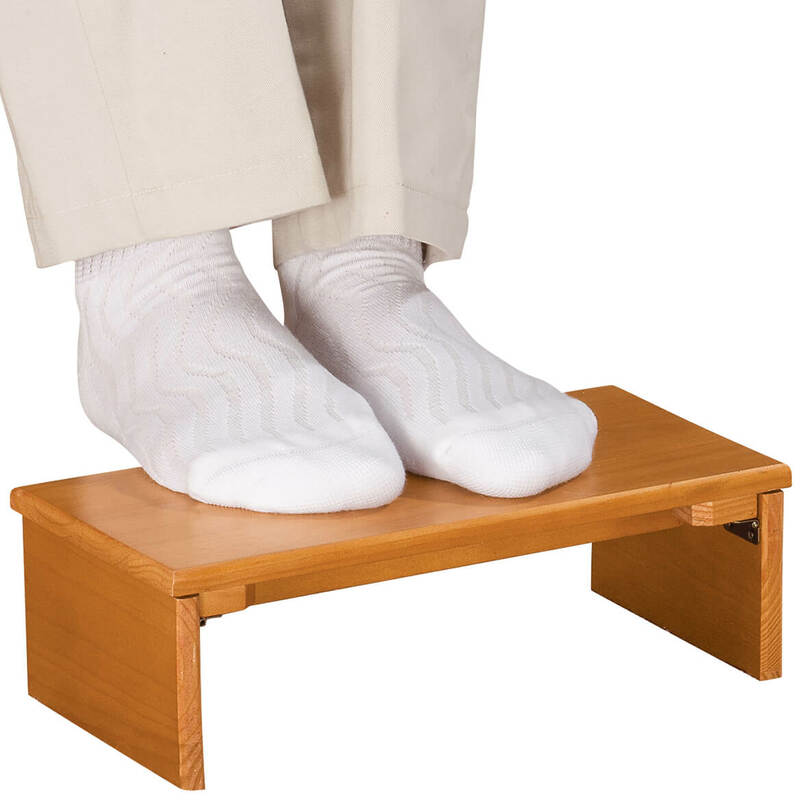 Need it for our vacation resorts since they don't usually have foot stools and I need to put my legs up when I sit. I must keep my feet elevated. This looked like the foot stool I have been looking for. Wanted a step stool for back porch. This was right size and easy to store out of the way and in inclement weather. Is it sturdy and will hold up or is it flimsy? I thought it was too flimsy for what I had wanted. BEST ANSWER: Thank you for your question. This is made in China.We hope this information will be of help to you. BEST ANSWER: The casters did lock into the unit, but it was not constructed as solidly as I thought and doesn't stay up with any pressure much on it. The casters do not stay when rolling over my rugs. 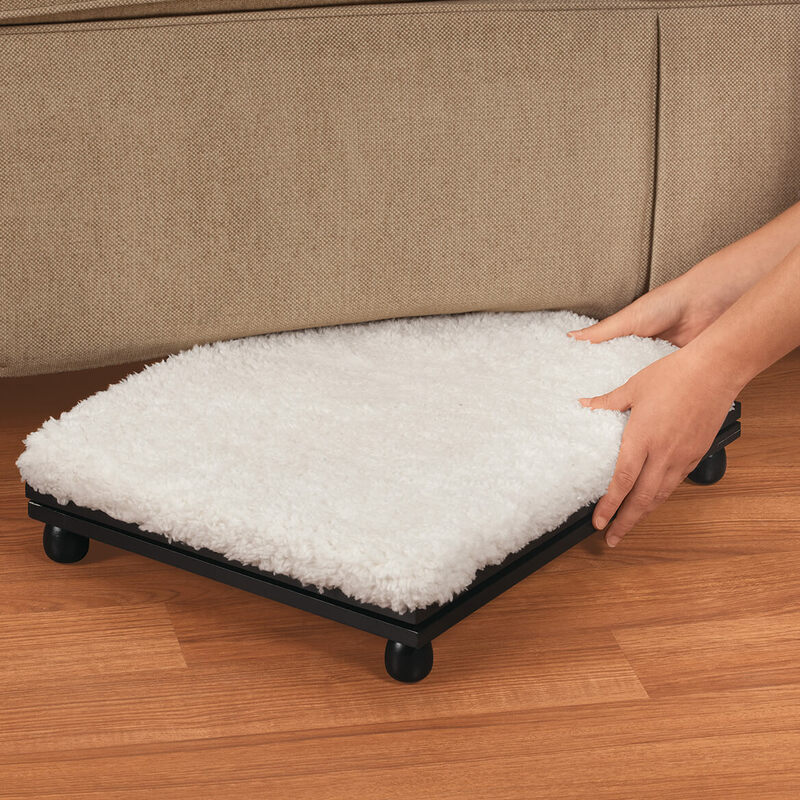 I use it but not in the extended position and do not try to roll it around too much It makes a great lift to put at my low windows and the sherpa padding is great, according to my dogs who use it to lay and look out the window. Words perfect for that. Two of the casters have locks but on carpet they have not been needed. It works well for its intended purpose but will not hold up to much pressure being placed on it. Don’t sit on it or try to push off from it. It is okay for a footrest that doesn’t take up much room. An additional note... we glued the casters into the frame so they don’t fall out. Does this footers tilt at an angle? No tilt. Once you open it the top is flat...pretty comfortable. No, it doesn't tilt. You can just adjust it's height.